Sales managers interested in CRM software have multiple decisions to make before actually making a purchase. Often times, it comes down to what provider offers features that fit the company best, but now there’s another factor to consider: Is cloud-based CRM software better or on-premise? It turns out that majority of CRM providers are offering cloud-based solutions because they’re more secure, easier to work with and personalize, more accessible outside the office, and easier to integrate with third-party programs and applications. On-premise CRM software offers businesses the ability to develop a solution that fits their specific needs from start to finish, but this comes with higher costs, the need for an IT team, and agents to be in the office. Here, we’re going to break down why cloud-based CRM software is taking over on-premise CRM software and why sales managers should no longer be on the fence about switching to the Cloud. With on-premise CRM software, businesses are typically in charge of their own security, which unfortunately opens them up to the possibility of a data breach. To combat this, businesses need to hire an experienced IT team to monitor customer data. For SMBs, this is an expensive option that most managers aren’t capable of considering. Cloud-based solutions are just as advanced, security is out of the business’ hands and in the hands of the CRM software provider, and are a cheaper option. Cloud-based CRM solutions are easier to integrate with third-party apps and programs than on-premise CRM solutions. Cloud-based CRM software comes with tons of apps and integrations that are designed specifically to work with tools like G-Suite, for example. These integrations help personalize CRM software to a business’ specific needs and they’re easy to download if they don’t already come with the software. On-premise CRM software is custom built for businesses with specific features that cater only to the business. Businesses aren’t completely limited with their on-premise CRM software; developers can introduce lines of code to make more seamless integrations, but that, again, requires hiring developers, which isn’t the best solution for SMBs. Cloud-based CRM software offers businesses the opportunity to access customer data inside and out of the office -- with any device. Phones already store data on the Cloud, and cloud-based CRM is obviously storing its data on the Cloud, so by choosing a Cloud-based CRM over on-premise, businesses are making the CRM more powerful by being able to access it on the go, which is especially good for sales agents. On-premise CRM is typically limited to the office, meaning it’s inaccessible to those who aren’t directly connected to the company. Sales agents, for example, would not be able to email a contact list to an important client in the middle of the meeting because that client would have to have special access to the software. Cost, again, is the next big issue if a company decides to develop their own app. It’s possible, but why go through the trouble when Cloud-based CRM already comes with powerful mobility features. Cloud-based CRM software eliminates all these costs by passing off those responsibilities to the CRM provider. Security is no longer an issue because the provider is legally obligated to follow industry standards, and businesses don’t need new hardware to set up a powerful, costly internet connection to support the system. By eliminating these significant costs, Cloud-based CRM providers can offer customers a features-based pricing plan that caters more specifically to their needs. On-premise CRM software, as we’ve mentioned multiple times by now, is very costly up-front for businesses of all sizes. Businesses have to have the hardware already in place to support the CRM software and an IT team for round-the-clock maintenance. If you’re a sales manager at an enterprise where price doesn’t matter, then perhaps an on-premise solution makes sense, but the that’s not the norm. In order for CRM to continue to advance, it has to become more accessible; the Cloud allows that. Cloud-based CRM software is easy to implement and can be done the same day you purchase the software. This is huge for businesses because that means managers don’t have to come in on a weekend and the business doesn’t have to pause its everyday operations. Thanks to powerful third-party integrations that typically come with Cloud-based CRM software, implementation is seamless with older/different systems. On-premise CRM software doesn’t just take money to start up. Time is another important factor that businesses have to consider. It takes considerable planning to set up an on-premise CRM. This can lead to lengthy delays that cut into business hours, and then everyone has to learn the new system, which is never easy. These five reasons why Cloud-based CRM software is taking over on-premise CRM software make the whole situation a lot more understandable. 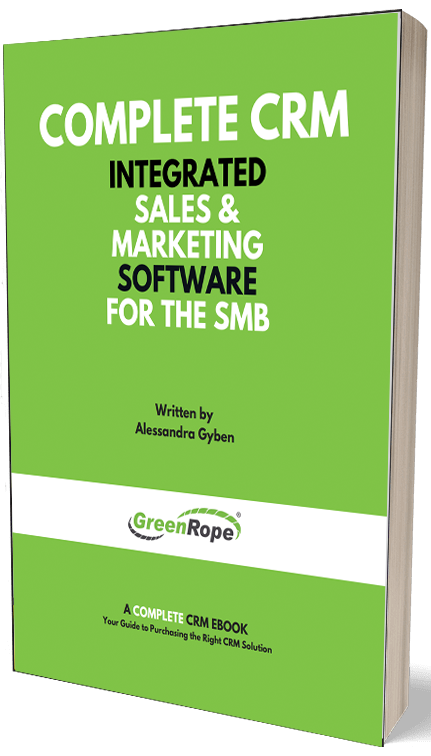 Big companies may have the funds and need to build CRM software that caters to their very specific needs, but this is not a viable option for SMBs who lack the time, money, and expertise to build and maintain on-premise CRM software. Cloud-based CRM is more secure than ever before, it’s affordable, it’s customizable, and it’s easy to implement into an office, which plays a more important role than people may think. Cloud-based CRM is the new norm in the CRM industry because it takes all the benefits of on-premise CRM software and makes them obsolete. At this point, there’s no reason to go back and forth between the two.